We grow Oysters with love, even though they're ugly little buggers. We are striving to promote the concept of provenance, even within the aquatic micro-climates of the Southern Yorke Peninsula. 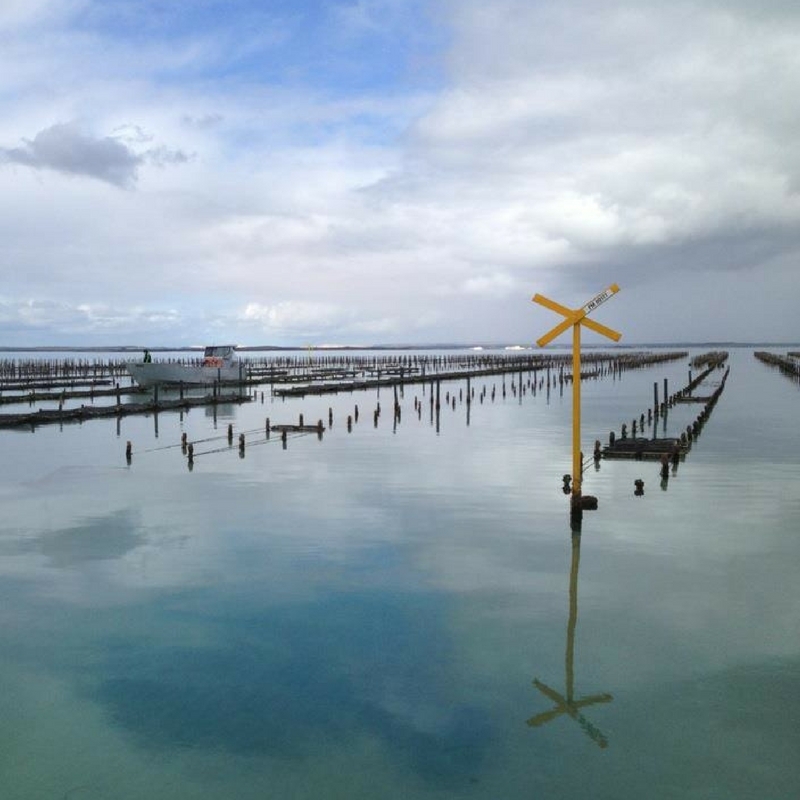 Established in 2006, where the South Australian Oyster industry started, in Stansbury on the Yorke Peninsula, . Founders Steve & Gerri Bowley have since grown to incorporate 20 hectares of bay lease, containing approximately 2 million Pacific Oysters and several thousand native Australian Angasi Oysters. The set of special characteristics that the geography, geology, and climate of a certain place, express in agricultural products, most famously Wine, but also coffee, hops, tea, tomatoes and even lemons. This concept extends to Oysters, with the obvious difference being sea not land. At Pacific Estate Oysters our “Terroir” is unique in each of our 3 Oyster beds, demonstrating the distinct diversity of our waters. Our shallowest waters, these are also very well protected, in calm waters making it the perfect site to grow seed. The smallest tidal range of our Oysters beds, slow growth allowing development of thick shells and a strong muscle means the Shore lease grows a very high quality Oyster. As named, this lease sits on the edge of the shelf forming a channel where nutrient rich waters flow directly from the Gulf St. Vincent. Oysters grow fastest here thanks to the tidal flows and healthy waters. Fast growth can result in thin shells so our Oysters are always very closely monitored while growing in the Channel Lease. Our “grow out” area, these are our deepest waters where the Oysters beds rarely go dry. In these deeper waters Oysters experience balanced growth at an optimum rate for the final phase of growth. The nutrient rich but choppy waters toss the Oysters inside the baskets, resulting in shell thickening and clean Oysters.